In 1914, during a year that saw the beginning of what became known as World War I, a group of nearly 20 insecticide manufacturers banded together to form the Insecticides Manufacturers Association. Operating from New York, the formation of the new association was a direct response to the U.S. Department of Agriculture enactment of the Federal Insecticide Act of 1910. The group provided a forum in which businesses that participated in the pesticides trade could discuss and respond to regulatory issues relevant to their industry. In the year following the association’s launch, the group of participating businesses expanded to include manufacturers of disinfectants. In light of the association’s expanded membership, the name was altered to become the Insecticides and Disinfectants Manufacturers Association (IDMA). 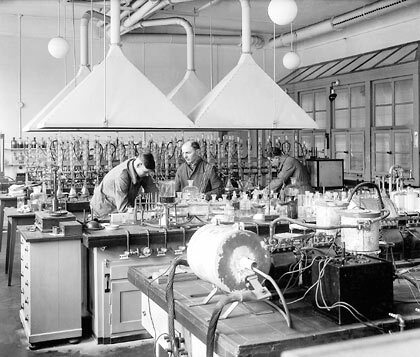 In the early 1920s, IDMA oversaw the formation of the first incarnations of the Pest Control Products and Antimicrobial Products divisions (then known as the Insecticides, and Disinfectant committees). During this same time period the association, that initially assembled to oppose government regulation, began to sow the seeds for government collaboration. Evidence of that shift in posture can still be seen today. Years passed and more companies from across the country were drawn to the growing association, prompting a name change in 1932 to the National Association of Insecticide and Disinfectant Manufacturers, Inc. (NAIDM). To accommodate its growing membership and set up a centralized meeting place, NAIDM established its first permanent office in New York City. As NAIDM’s profile rose, membership swelled adding a variety of new businesses linked by their usage of chemical ingredients. In 1949, under the leadership of “Doc” Hamilton, who helmed the association from 1942-1958, the name was changed again to the Chemical Specialties Manufacturers Association, Inc.(CSMA). The name change was inspired by the broadened spectrum of the association’s activities, as well as the diversity of its membership. The association also formed a new division – the Aerosol Division (now Aerosol Products Division) that year. 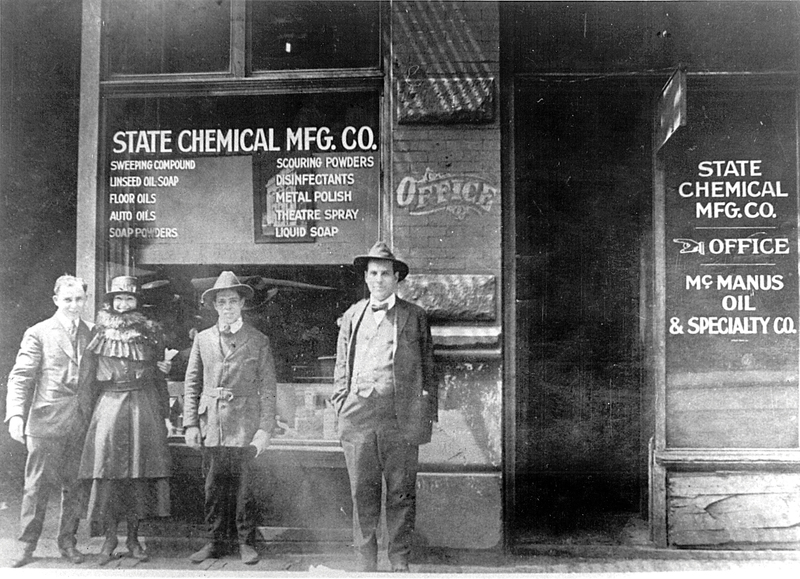 In the following year, several new CSMA divisions were added: Detergents and Cleaning Compounds (now Cleaning Products); Waxes and Floor Finishes (now Polishes and Floor Maintenance Products); and Automotive Chemicals (now Industrial and Automotive Products). Throughout the 1950s, the increasingly growing association continued to operate from the New York City. During the era, the association hosted its annual meeting at the Chemist’s Club in New York City. 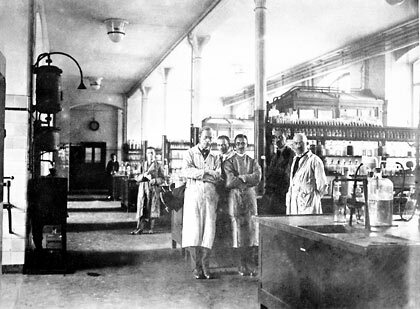 At the time, many of the CSMA members also were members of the Chemist’s Club. In wake of Doc Hamilton’s retirement, Al Mulliken assumed leadership of CSMA in 1959, and steered the association through the changing business landscape of the 1960s and 70s. During the 1960s CSMA increased its staff, making the decision to bring on full-time experienced staffers who could better anticipate government action, not just react to it. 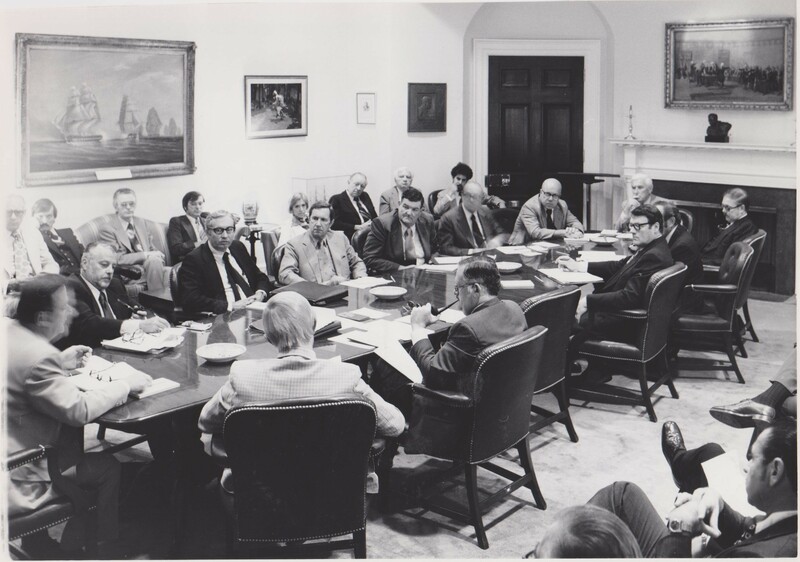 To establish a presence in close proximity to the federal lawmakers introducing new bills that would have a direct impact on the industry, CSMA relocated its headquarters from New York City to Washington, DC in 1974. The leadership of the association was turned over to Ralph Engel after Mulliken retired that year. What began in 1914 as just a small band of companies with a common interest had become a full participant in the legislative and regulatory process. Following the move, CSMA’s Mid-Year and Annual meetings began to include more public policy programming as a reflection of the association’s shifting focus. CSMA also formed its own political action committee – CHEM-PAC during this time. During the early 1980s, the U.S. Environmental Protection Agency began requiring the re-registration of pesticides for commercial use. In 1985, in response to the measure, Engel oversaw the formation of CSMA affiliate, the Product Ingredient Review, then known as Pesticides Ingredient Review program, now known as the Research & Regulatory Management Council (RRMC). One of the first issues they addressed was registration for the active ingredient in insect repellent, DEET. Also during this decade the federal government passes the Risk Retention Act of 1986, which paved the way for members of an association to establish a group self-insurance program. A year later, CSMA formed the Consumer Specialty Insurance Risk Retention Group. Among Cathcart’s initial contributions to the newly minted CSPA were the creation of a new affiliate program – the Alliance for Consumer Education (ACE) which has grown into a nationally renowned program, and the launch of new a comprehensive, voluntary product stewardship program for members known as Product Care®. In 2000, as the association’s influence and reach increasingly expanded, a seventh division was added to the CSPA portfolio – the Air Care Products Division, which has become one of the fastest growing divisions. During the following year CSPA added the Consumer Aerosol Products Council (CAPCO) as an affiliate program. And the following year, the Compliance Assistance Group, Inc. (CAG) was formed. The insights from the strategic planning process became valuable immediately when the organization announced in December of 2016, that Steve Caldeira, the former President & CEO of the International Franchise Association would onboard in January of 2017. Moving quickly, Caldeira embarked on a cross-country tour to visit dozens of member companies, hearing first-hand concerns and priorities. He also reorganized and expanded the government relations & public policy, and communications departments, to further strengthen their advocacy and member/media relations impact. Focus groups confirmed what the new CEO and many board members had long suspected – no one outside of the immediate membership and EPA was remotely familiar with the CSPA brand, or even understood what the name meant, who we represented, or what our issues were. The phrase consumer specialty products was considered vague, and wild guesses at what a consumer specialty product was generated some laughs for focus groups. The term “institutional” in the tagline was considered anachronistic to the many of the audiences CSPA served. The Board agreed – the old association had been transformed and a new association was ready to emerge. There could not be a better time for a name change.